The “last” session of the talks would be held soon. But the results of Mkapa’s work remain very mixed. The opposition accuses him of having not been able to organize real inclusive talks to date. As a reminder, the first Vice-President or even the Assistant to the Minister of the Interior had declared that there was no longer any “need for external dialogue”. For them, almost all the questions had been solved internally. That position is finally abandoned by Bujumbura: “We do not want them to say that we have been the stumbling block to the dialogue,” said Térence Ntahiraja, Assistant to the Minister of the Interior. The government has nevertheless imposed conditions. It will be necessary to ensure the security of its delegation. Uganda, which was chosen to host the next session, would not meet these security standards because “it shelters Burundian coup plotters on its territory”. 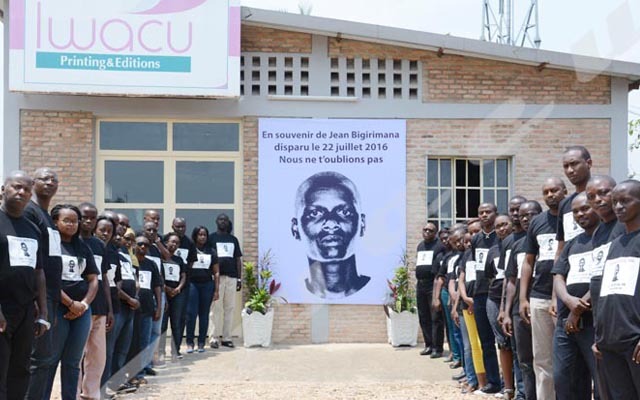 According to several observers, Bujumbura could not take the risk of offending the East African Community, which has been at its side since the 2015 crisis. As the international community raised its voice, the European Union took sanctions against the government and the presidents of the sub-region took an open stance in favor of Bujumbura. As a reminder, Bujumbura had decided to boycott the 3rd round of talks saying the facilitation office had invited people wanted by the Burundian justice. Another strong supporter was the Tanzanian president, who on his part had several times given the same speech as Bujumbura. In his speech on July 20 when he welcomed President Pierre Nkurunziza, he declared that peace and security were a reality and called for the return of refugees to Burundi. Bujumbura therefore has no interest in turning down the invitation. In addition, the facilitator, Mr. Mkapa, seems to be on the same wavelength with the Burundian government. During the last session in December 2017, he declared that, in the name of national sovereignty, the Burundian population had the right to revise their Constitution and that he could not do anything about it. What issues will be discussed? While the facilitation says that this 5th round is the last and marks the end of the crisis, the question is what will be the issues on the agenda of the meeting. According to the facilitation, it will be necessary to convince the Burundian refugees who are not wanted to return home and give guarantees for free and democratic elections. The external dialogue had been deadlocked for more than two years and has trouble to restart now. The conclusions from the four sessions are not encouraging. Apart from the work that identified points of convergence and divergence, the facilitation office was unable to organize inclusive debates. Each group worked in its area. In the last round, it had planned “real discussions” that did not happen. The facilitation office has not been able to bring together all the protagonists of the crisis around the table, which indeed the international community had favored for an “inclusive dialogue”. The government boycotted the third session of the Arusha talks in February 2017 protesting against the presence of the people wanted by Burundi justice. And when the mediation ignored these personalities, the coalition of the opposition in exile, CNARED, boycotted the meeting. But it is clear that the approximations and trial and error of this mediation have rather benefited the ruling power. They allowed Bujumbura to gain valuable time to secure the country and organize a referendum process that led to the revision of the Constitution. Today, there is not much time left. The clock is ticking and the 2020 elections are fast approaching. As indicated by the leader of “Amizero y’Abarundi” opposition coalition, the next session should take place as soon as possible. Agathon Rwasa said it was important that a “consensual” document be adopted in this next meeting. Translated by Pierre Emmanuel Ngendakumana.